Qatar has showed its interest in concession of Olvia and Kherson seaports, Ukraine’s Infrastructure Ministry has reported on its website. The ministry said that the Ukrainian Sea Port Authority has signed a memorandum of understanding with Qatar ports management company Mwani Qatar, envisaging cooperation aimed at boosting cargo flow between seaports of Ukraine and Qatar, in particular, exports of agricultural products made in Ukraine to Qatar. 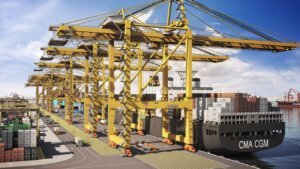 In addition, it is planned to attract Qatar investments in port infrastructure facilities to include marine terminals in international supply chains. “The signing of the memorandum opens the way for the further implementation of many projects… First of all, we are talking about the concession of the ports Olvia and Kherson. Qatar is also interested in cooperation in the Yuzhny port, which, according to the strategy of the Ukrainian Sea Port Authority, will start servicing large vessels that can pass the Bosporus Strait in the coming years,” Head of the Authority Raivis Veckagans said. In turn, Minister of Transport and Communications of the State of Qatar Jassim Saif Ahmed Al Suleithi said that the development of cooperation with Ukraine in the port and aviation spheres is promising for Qatar and confirmed the intention to develop the launch of direct flights between Doha and Lviv at the bilateral level. 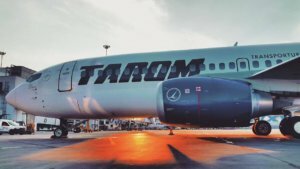 Romania’s Tarom airline will launch direct Odesa-Bucharest flights from September 1, 2018, the Odesa international airport has written on its Facebook page. “The flights will be operated three times a week on Wednesdays, Fridays and Sundays. Departure from the Odessa International Airport is at 4:15 and from the Henri Coanda International Airport (Bucharest) is at 1:00 local time. It is planned to use modern turboprop aircraft ATR 42/72,” the airport said. The airport also said that in Bucharest, passengers are able to connect to air carrier flights on more than 30 routes to Europe, the Middle East and Africa, as well as 10 destinations within Romania. At the moment, direct flights to Romania from Ukraine are carried out by Windrose on the Kyiv-Bucharest route. 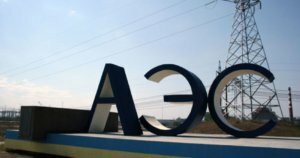 State-owned enterprise Energoatom in January-June 2018 saw net profit rise by almost 2 times compared to the same period last year, to UAH 3.186 billion. According to reporting on the website of the generating company, its net income in the first half of the year increased by 1.1%, to UAH 20.747 billion, while gross profit decreased by 1.8%, to UAH 5.166 billion. 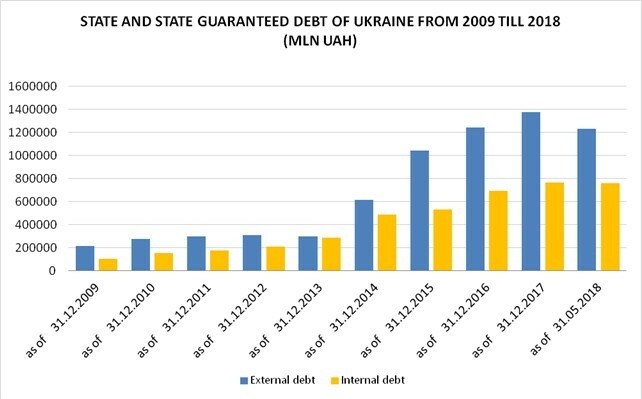 As reported, Energoatom in 2017 received a net loss of UAH 1.322 billion against UAH 232.791 million of net profit for 2016. Net income in 2017 increased by 6.7%, to UAH 38.488 billion, while gross profit decreased by 16.7%, to UAH 4.773 billion. Energoatom is the operator of all four operating NPPs in Ukraine. It operates 15 power units equipped with VVER reactors with a total installed capacity of 13.835 GW. 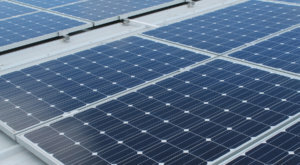 The Slovenian company Riko in August this year will begin the construction of a solar power plant with a capacity of 10.6 MW near Zhytomyr, mayor of the regional center Serhiy Sukhomlin, who signed a contract with director of the Slovenian company Janez Skrabec, has said. “The plant will be built near the village of Hlybochytsia on a plot of 18 hectares. It is planned to complete the work by August 2019 … Special thanks to the members of the government of the Republic of Slovenia for the issue of EUR3 million grant funds for this project,” Sukhomlin wrote on Facebook. He noted this is the second project that Riko will implement in Zhytomyr: previously Slovenia won a tender for the reconstruction of the drinking water pumping station of municipal enterprise Zhytomyrvodokanal. Deputy Prime Minister, Minister of Regional Development, Construction, Housing and Utilities Services of Ukraine Hennadiy Zubko, in turn, congratulated Zhytomyr with the launch of such an ambitious project and expressed belief that the city has all chances to become Ukraine’s first city having its own solar power plant. “Financing the project: credit facilities plus financial support from the government of Slovenia plus city guarantees,” Zubko wrote on his Facebook page. He also noted that the future effect for Zhytomyr is about EUR1.65 million of additional revenue per year, and also the reduction in carbon dioxide emissions.